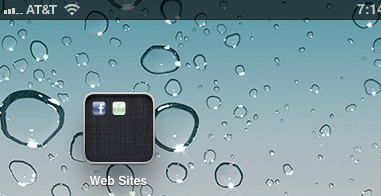 Our last iPad tip taught you how to create a website bookmark shortcut on your desktop. Over time, you may have several website shortcuts on your desktop, so its time to create a folder to hold them all and have less clutter. Create two or more desktop website bookmarks. 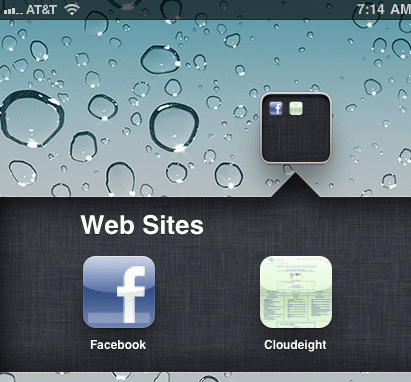 In our example below, we created one for Cloudeight and one for Facebook. Tap the home key. Now you will see your folder on your desktop! 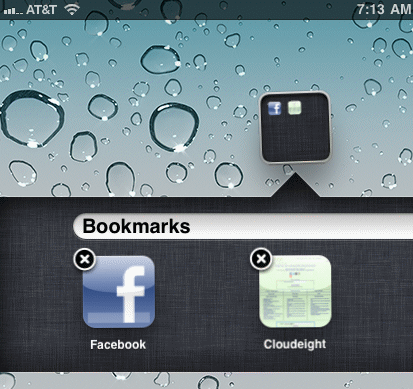 You can create several folders if you have several bookmarks if you want to categorize them. You can create folders from anything, including apps, you have on your desktop/homescreens by dragging two icons on top of each other. I have another called “News” and it holds all of my news apps. Also, don’t forget.. you have 7 home screens you can create so stay organized!